Mobile police scanners are installed into your vehicle so that you can listen while traveling. While there are many high-quality models on the market today, it's important to compare features to find the best mobile police scanner for your personal needs. We created this guide with the intention of helping consumers find quality scanners that will meet their expectations and more. The information presented within the guide will help you select a mobile scanner that connects you to your local area as well as other locations as you explore the world around you. 3.3 How Much Do Mobile Police Scanners Cost? The first step to selecting the best mobile police scanner is to read trustworthy reviews that highlight important features of the best models. Our reviews are designed to guide you toward the mobile police scanner best suited to your individual needs. 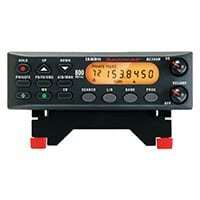 The Uniden BCD536HP is a top rated mobile police scanner for consumers able to invest more than $400. It offers a variety of advanced features that you won't get with many lower-priced mobile scanners, and it has an intuitive design that allows you to quickly avoid or replay frequencies by pushing a single button. The one feature that makes the Uniden BCD536HP worth the price tag is the Wi-Fi compatibility. Download the Uniden Siren app to your smartphone, and you can connect to your mobile scanner even when you're not in your vehicle. This may even allow you to use your smartphone as a home scanner rather than investing in two products. This Uniden scanner is equipped with an advanced weather system that allows you to track storms throughout the United States and Canada. It also comes with close call RF capture, which allows you to automatically pick up signals from transmitters in your local area. Many users find this scanner easier to program than some others. This makes it a good option if you don't have a lot of technical knowledge. Selling for under $100 at full price, the Uniden BC355N is the cheapest mobile scanner that we will recommend. It has a cheaper look than many competing scanners and the buttons aren't as clearly labeled, but it still delivers some advanced features that you may not expect to find in this low price range. Some of the advanced features of the Uniden BC355N include temporary lockout and close call RF capture. The close-call feature allows you to quickly connect with signals sent out by transceivers in your local area. If you're primarily interested in listening to your local fire and police stations, this is a very good mobile police scanner for your limited needs. It's pre-programmed to quickly tune into frequencies for police stations, fire departments, EMT services and local weather bands. It can also connect to aircraft frequencies. The Uniden BCT15X is one of the more affordable mobile police scanners to make our list, but don't assume that affordable means low quality. We were quite impressed with some of the advanced features offered for less than $200, including an advanced memory system that can store up to 9,000 channels. If you travel frequently for business or pleasure, we would consider this a good mobile police scanner for your needs. 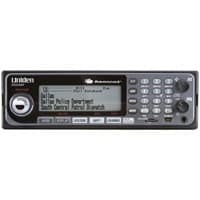 Instead of searching for live frequencies each time you cross into a new state, the Uniden BCT15X police scanner is pre-programmed for each state so that you can quickly tune into active frequencies as you travel. This is a location-based scanner, which means that your scanner will automatically scan for frequencies based on your current location. It's also equipped with close call RF capture, so you will save a lot of time when trying to connect with local frequencies even when you're away from home. Like many scanners on the market today, you can expect to spend some time figuring out how to use this police scanner. The more technical experience you have, the less trouble you may have working through this process. 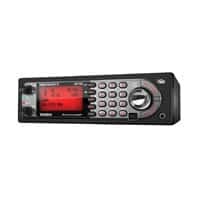 If you're ready to purchase your first police scanner, this short buying guide will help you understand some of the features that are commonly seen on the best scanners available today. It's difficult to isolate the best mobile police scanner for your individual needs, but our honest product reviews and insightful buying guide should make the process a bit easier to maneuver. Understanding the features on a mobile police scanner becomes easier when you know what some of the industry terminology really means. This quick checklist will introduce you to some of the terms you'll run into while shopping, and our police scanner reviews explain some additional features in greater detail. Squelch – This feature will cut off the audio for your scanner until a frequency with a specified signal strength is detected. You can set the signal strength so that it fits your needs, and you won't have to listen to the noise produced by frequencies with weak signals. Autoload – Your scanner will automatically store frequencies to your scanner as they are found on a search. This saves you time because you won't have to continuously scan to find active channels. They are memorized by your radio when found the first time. Memory Bank – Your saved or memorized channels are grouped into banks so that they're easier to find in the future. Some of the best mobile police scanners will have 10 or more banks, allowing you to store hundreds or even thousands of channels. Temporary Avoid – This allows you to skip certain channels that you know don't fit your needs. You don't have to scan through them routinely. Priority Channel – You can tell your police scanner that you want to visit this channel over all others. You will routinely hear activity on this channel even if other channels are active. Why would you want to invest in a mobile police scanner when there are home bases that often sell at more affordable prices? Since mobile police scanners are installed into a vehicle, the most obvious reason is that you want to listen to your scanner while driving. You don't sit at home often, so you need a scanner that can leave the house with you. You're interested in using your scanner at live events, and you spend time in your vehicle when attending some of those events. You travel frequently and need a scanner that you can take on the road for long periods of time. You already have a home scanner and want to add a mobile unit for convenience. You're a prepper and would like a mobile scanner that will keep you connected to others if an emergency takes place and you must bug out in a vehicle. How Much Do Mobile Police Scanners Cost? Police scanners generally range from around $80 to more than $600. Some can go higher than $1,000, especially if you're shopping for a scanner designed for professional use. Mobile scanners are often more expensive than simple home scanners, but you can still find high-quality models for around $100. It's important to consider the quality of the scanner and to check its compatibility to your personal needs. Our police scanner reviews will help you price some of the best mobile police scanners available today. If you only want to pick up activity from your local emergency services, the Uniden BC355N is our top recommendation. It doesn't have the most sophisticated look and has limited reception, but it will meet the needs of someone interested in listening to police, fire and EMT frequencies only. Can you afford to invest a bit more in exchange for features only found on the best mobile police scanner? If yes, our top pick is the Uniden BCD536HP. It's loaded with features that your friends will envy, and it can serve as a portable police scanner if you download the Uniden app.